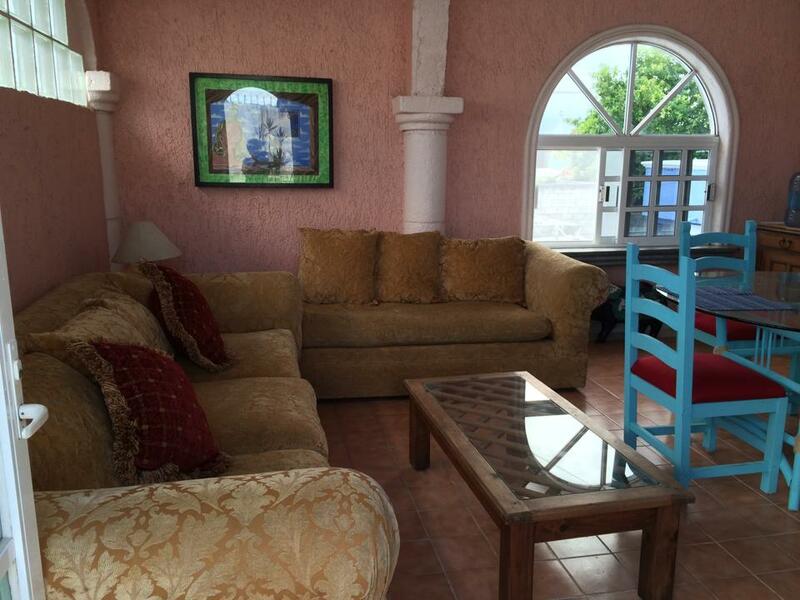 Casa Caribe is your Cozumel home away from home. 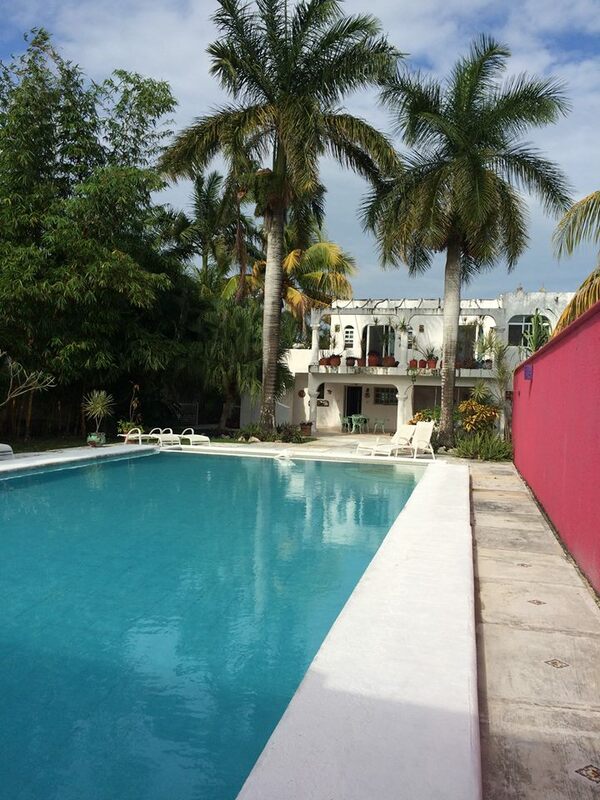 In the center of downtown Cozumel sits this lovely older home, with tropical yard, swimming pool, and patios. We raised our four children in this home so it's a very special home to us. 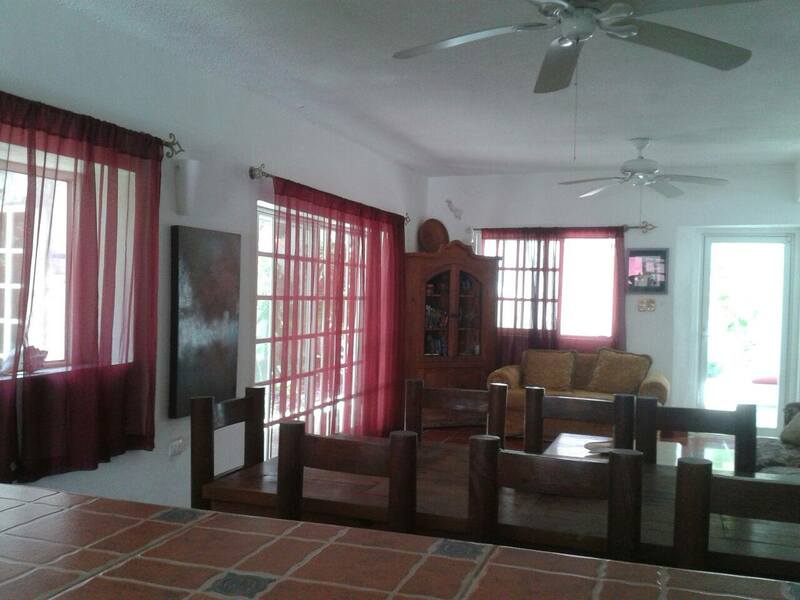 This two story home is a compound of bedrooms, living areas and patios. It can be divided up or can be rented as a whole. 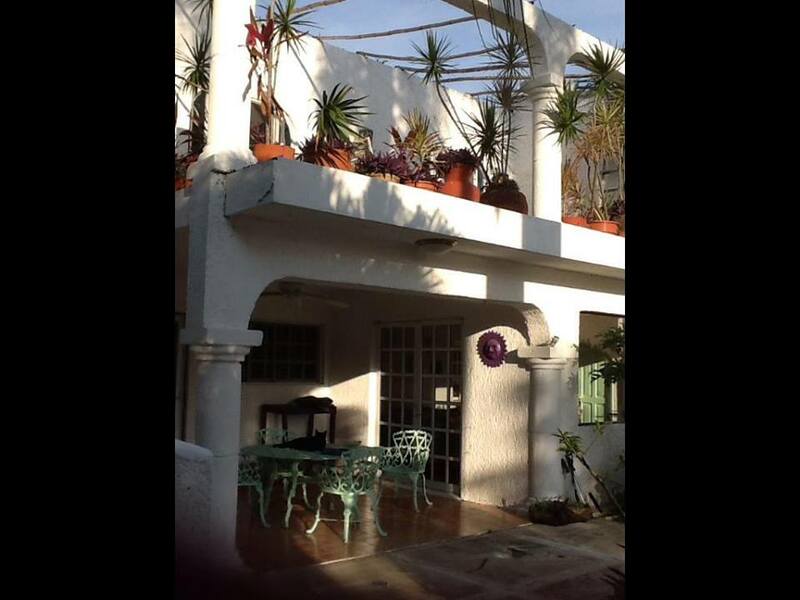 The property is centrally located in the heart of the downtown area. 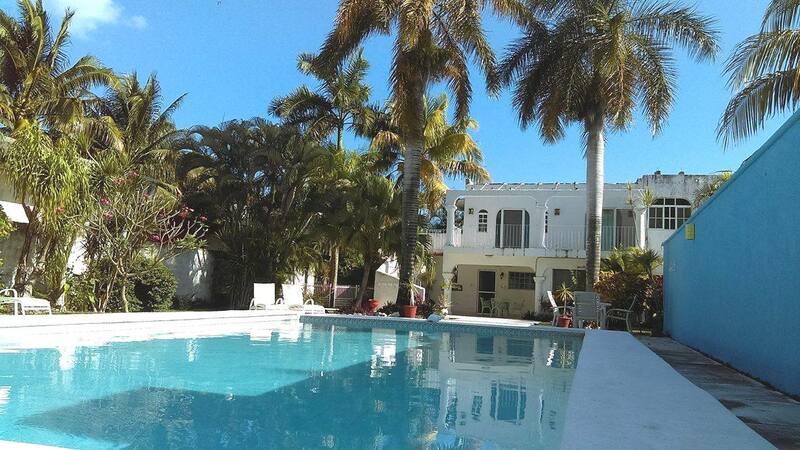 It is four blocks from the ocean, and just three blocks from the downtown square. The red dot is the downtown ferry-the pier. 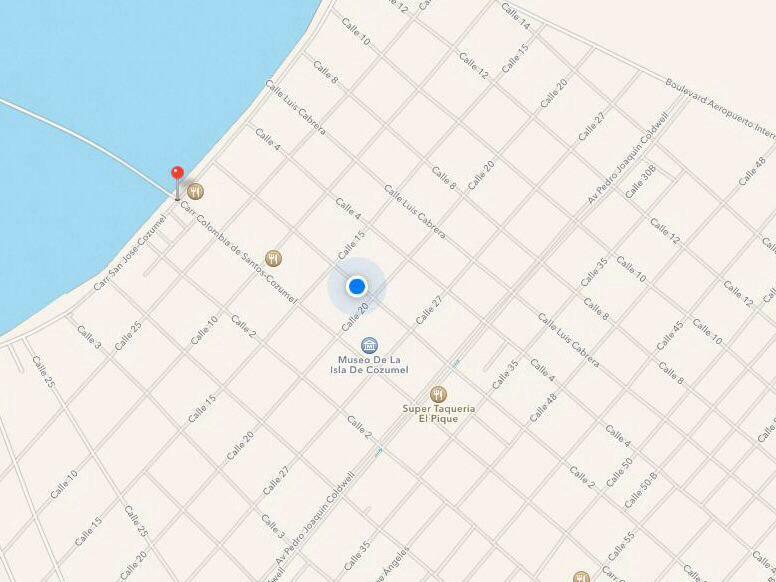 The blue dot is Casa Caribe. The downtown area is full of shops, restaurants, and is always full of activity. 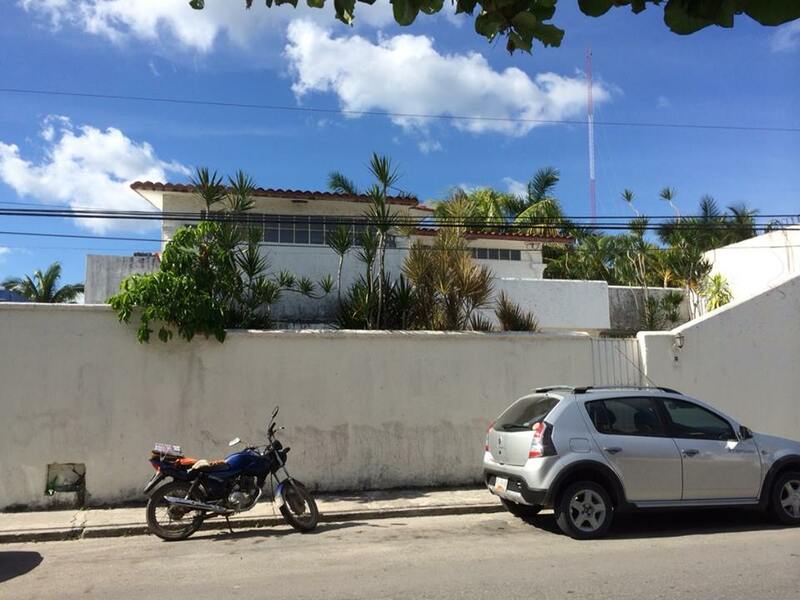 Although it is safe, the house has a nine foot wall surrounding the property, typical architectural accent in Mexican homes. The downstairs can be rented alone. It is the main hub of the house. 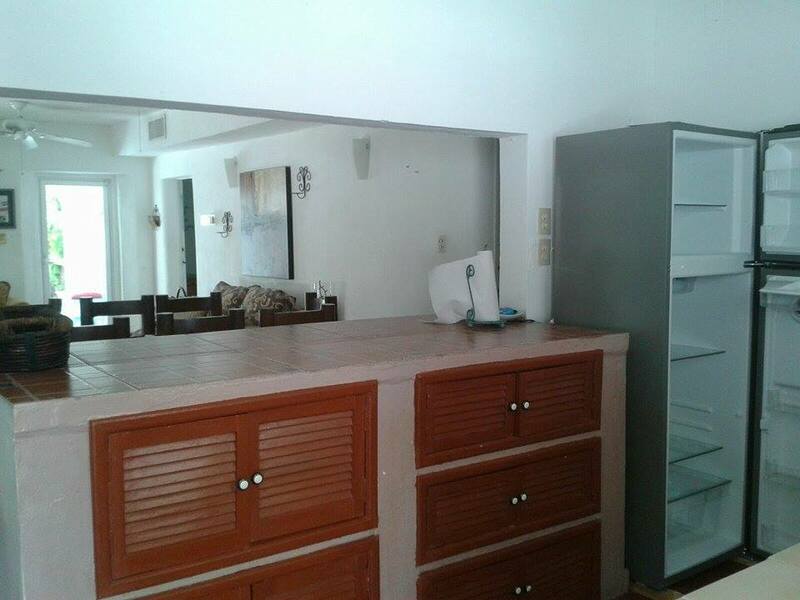 There is a living/dining room, with a bar that separates the kitchen area. There is a large window from the kitchen overlooking a nice covered patio that overlooks the swimming pool and tropical plants of the garden. There are three bedrooms and two bedrooms downstairs. Two bedrooms each have a king size bed, and the third has a standard size bed. There are two bathrooms, each with a shower, no tub. 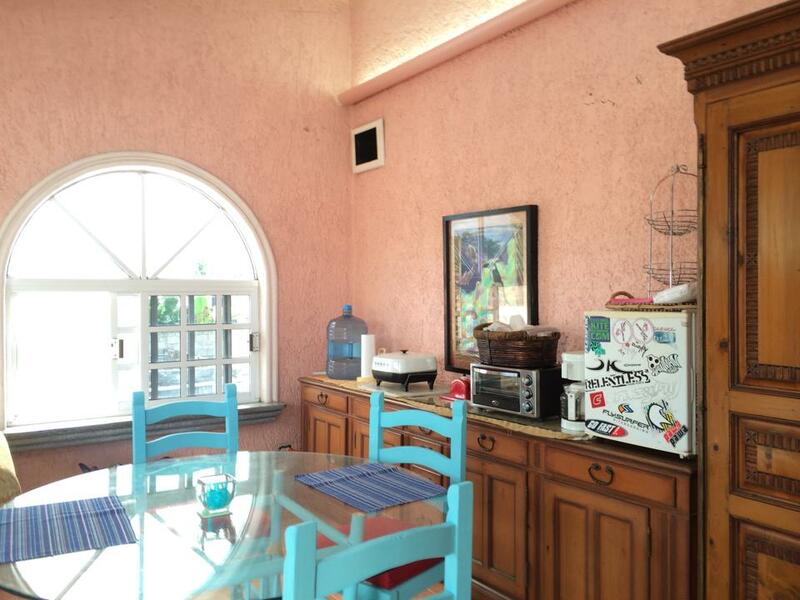 It has the living/dining room, the kitchen, three bedrooms and two bathrooms. 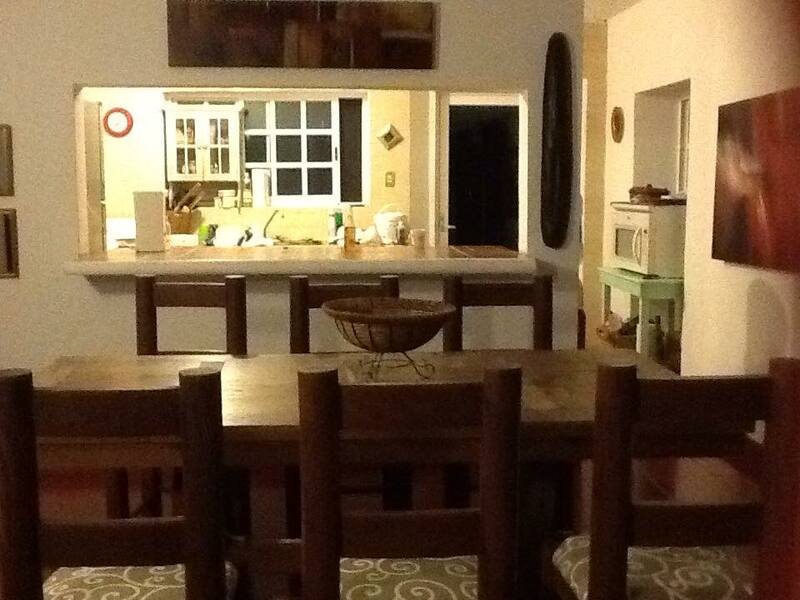 The living area and dining area are on large room, with the kitchen divided by a small bar. Each bedroom has a modern sustainable air conditioner that cools quickly. We ask guests to turn it off when the room is empty, and turn it on about five minutes before you plan to use the bedroom. You'll be very cool all night. There is a small kitchen that is perfect for preparing meals. Owners have included coffee pot, toaster, pots, pans, plates, dishes, glasses etc. 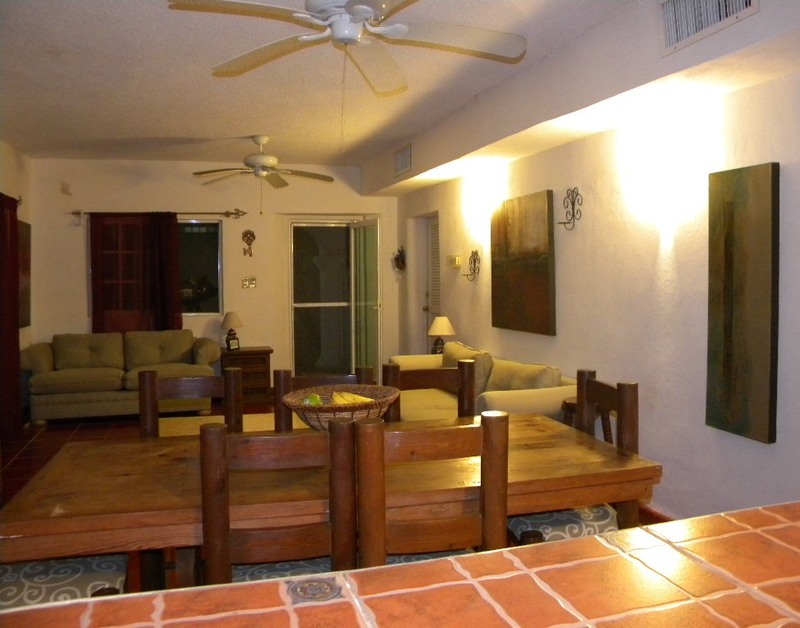 Just off the kitchen is a covered patio looking out into the garden and pool area. This is the best area for coffee, for afternoon snacks, for evening cocktails, and reading. It is peaceful and has a great view. Some of the photos show the walls as pink, but we painted it blue in 2017. 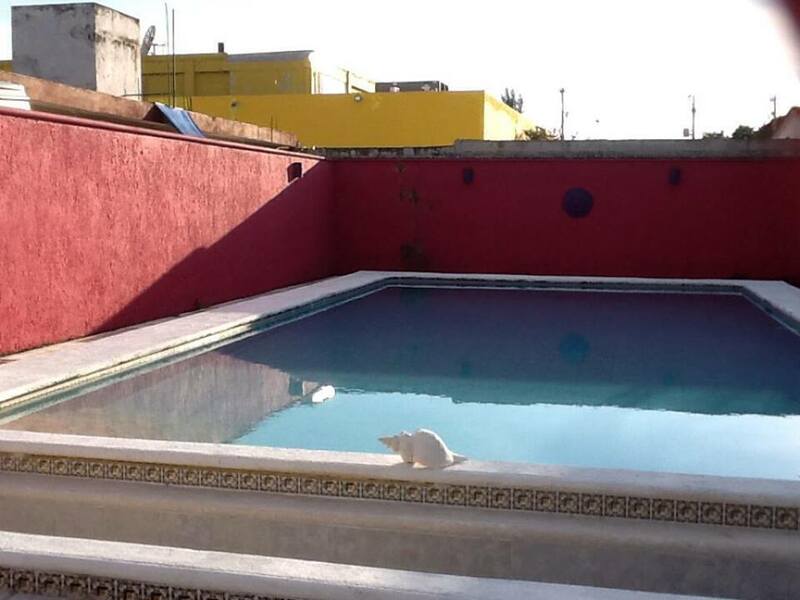 The pool has another patio on the west side of the pool, and some small areas for the six lounge chairs. The green grass setting, accented with palm trees, ginger and bird of paradise, with flowering trees and bushes create the perfect tropical ambiance. The upstairs, we call it Suite Arriba, has another large bedroom with king size bed and private bathroom on the streetside available for rent. If there are two people, this is perfect. 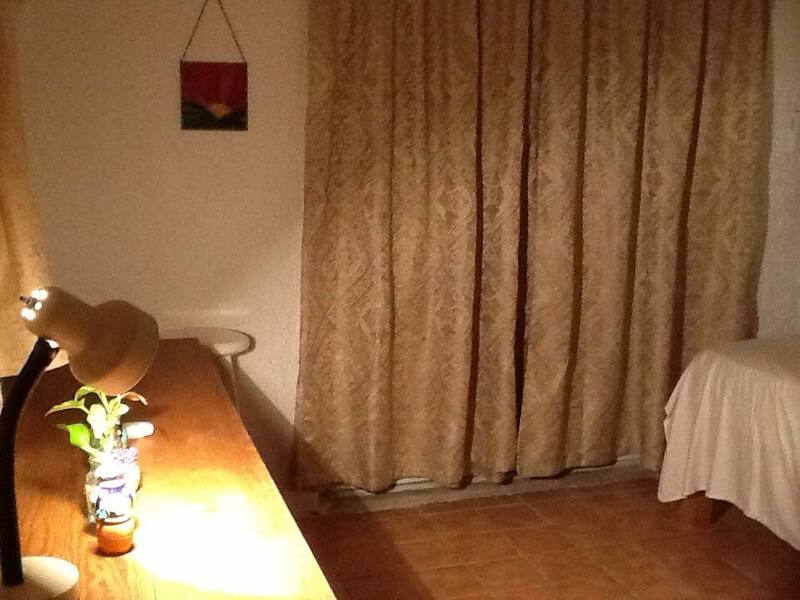 It has one large room, with the bedroom area, a dining table with a sofa area. There is a coffee pot, toaster oven, and a small refrigerator. You may see it referred to as the Pink Suite, because it used to have pink walls. The walls are now white, which gies it a brighter, lighter feel. It has its own exterior stair case, and private entrance so you don't interact with the people downstairs unless you wish to see them. 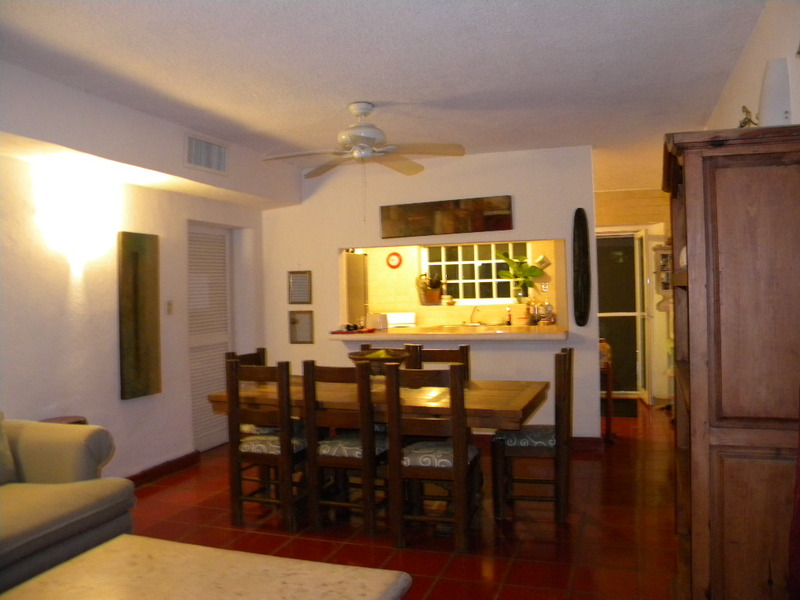 If you don't need the kitchen during your stay, this can be rented alone and is right for you. It's not really cooking but it is convenient to have coffee or a snack. It has its own entrance, and a small patio outside. 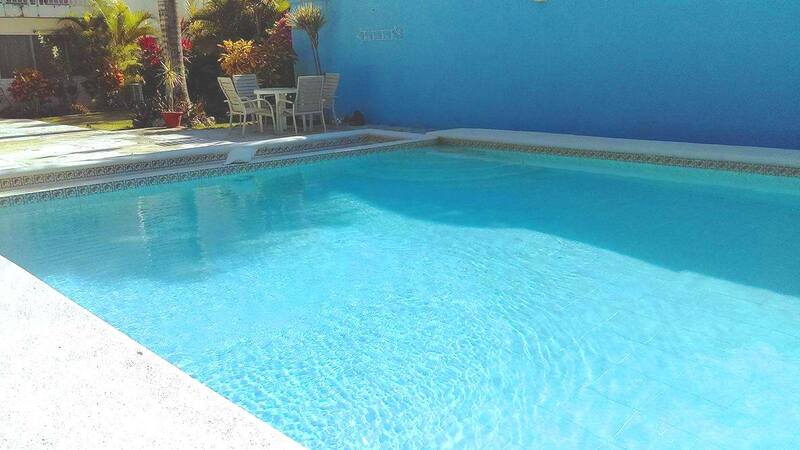 Guest can access the two gates and use the grounds and swimming pool. The other bedroom overlooking the swimming pool is reserved for the home owners and is not available for rent at this time. 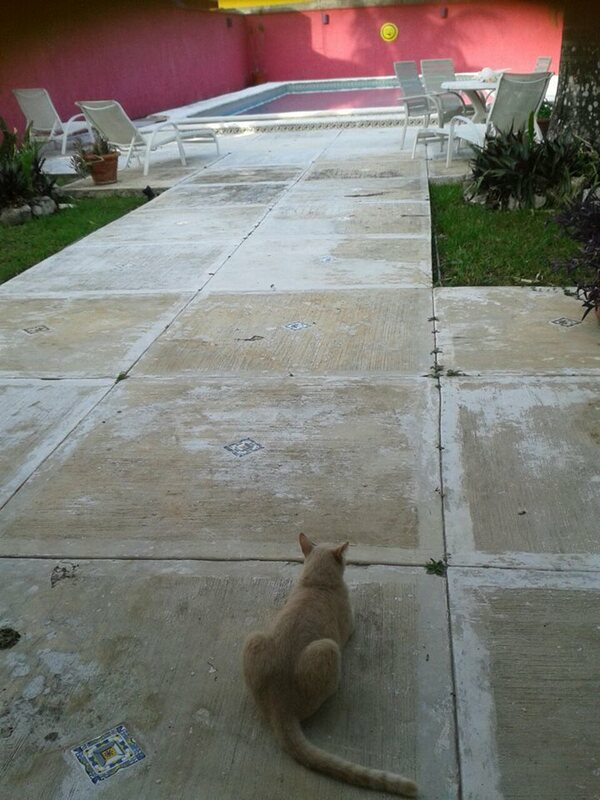 Casa Caribe has two outdoor cats, and we have a manager who will come daily to feed them. We ask that you please do not allow the cats inside the house. Pets who will get along well with our cats are welcome, as long as they are well mannered and owner takes responsibility to pay for any damages. Pets must be 20 lbs or under. We will charge a $100 cleaning fee plus $15 per day for each pet. We have pooper scoopers and ask that you pick up after your pooch. 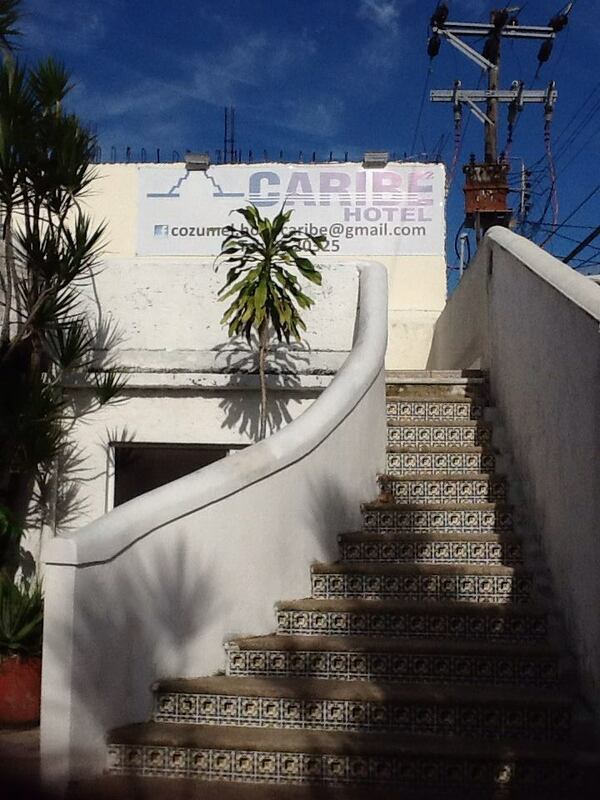 Casa Caribe has air conditioning in the two main downstairs bedrooms and air conditioning upstairs. The family who resides here never uses either because it's a cool house with all the windows open. There is wireless internet in the whole house as well. The guest house also has central air conditioning but does not have wireless. We ask that guests close all windows and doors while using the air conditioning. We ask that you turn all a.c. units off when you leave the house for the day or evening. This house is about 75-80 years old. It's a rustic Mexican home. 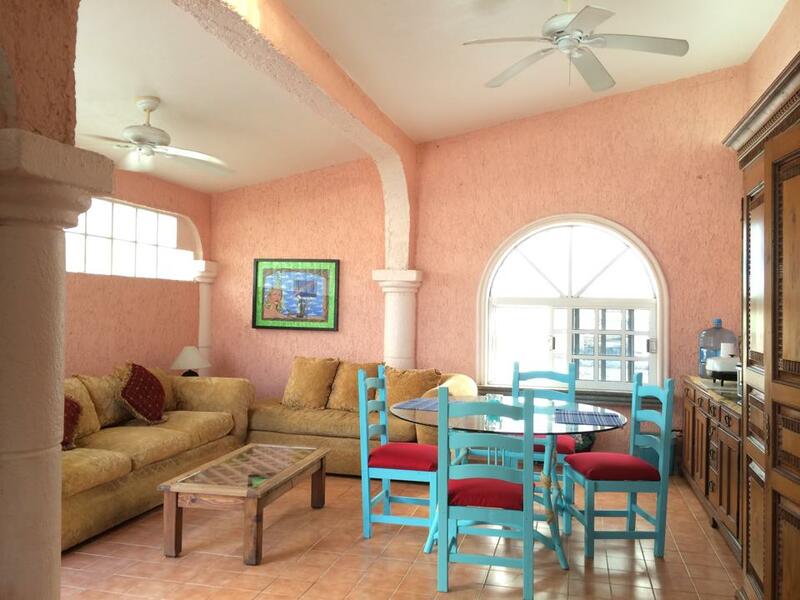 It has not been modernized in style and still has most of the quaint charming details of Cozumel homes. The garden is lush with colorful tropical plants. 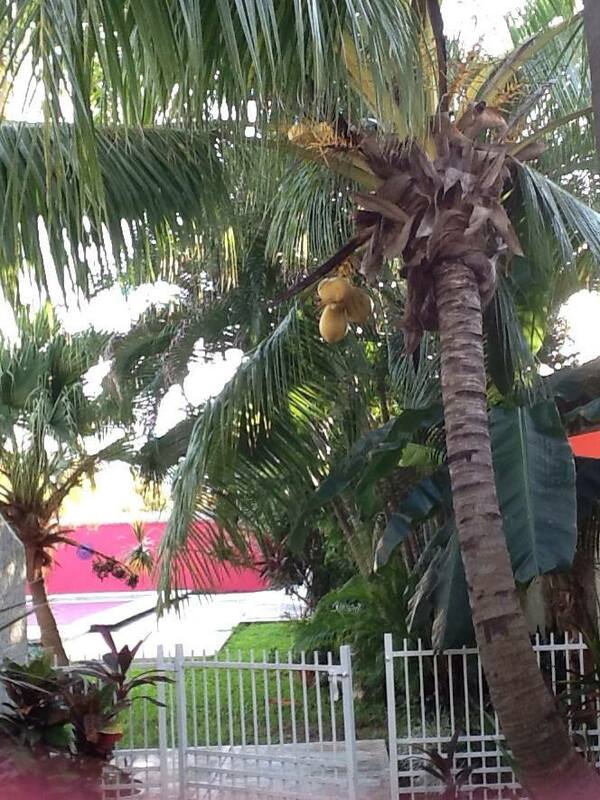 Coconuts, banana trees, hibiscus and aloe vera are everywhere. 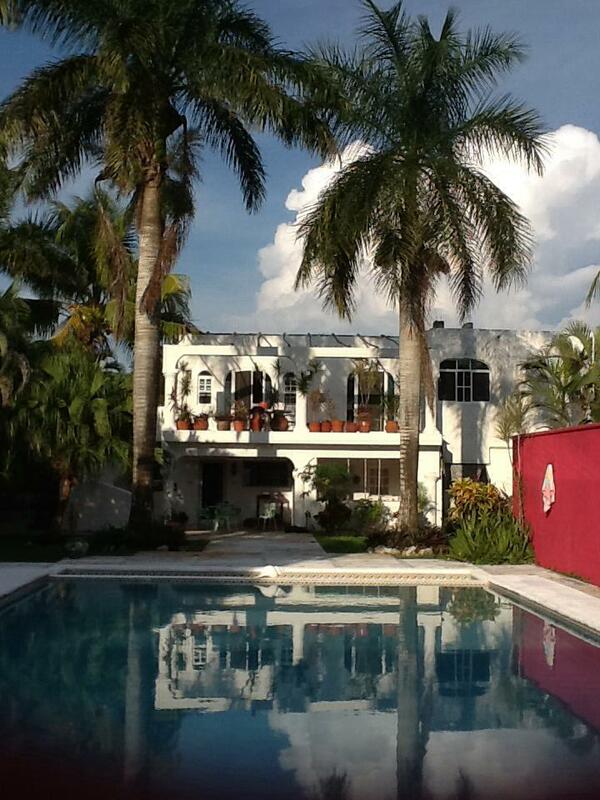 The swimming pool is accented with two tall Royal Palms. Areca palms, and bougainvillea give you additional privacy from views of neighboring buildings. We provide bottled purified water, fresh soap and paper products on your arrival. We do not provide a daily maid service, laundry or cooking service. If previous guests leave coffee or filter, sugar or salt, we will leave those and ask that you do so too. The laundry facilities are not available to guests. There is a laundry mat less than four blocks away. 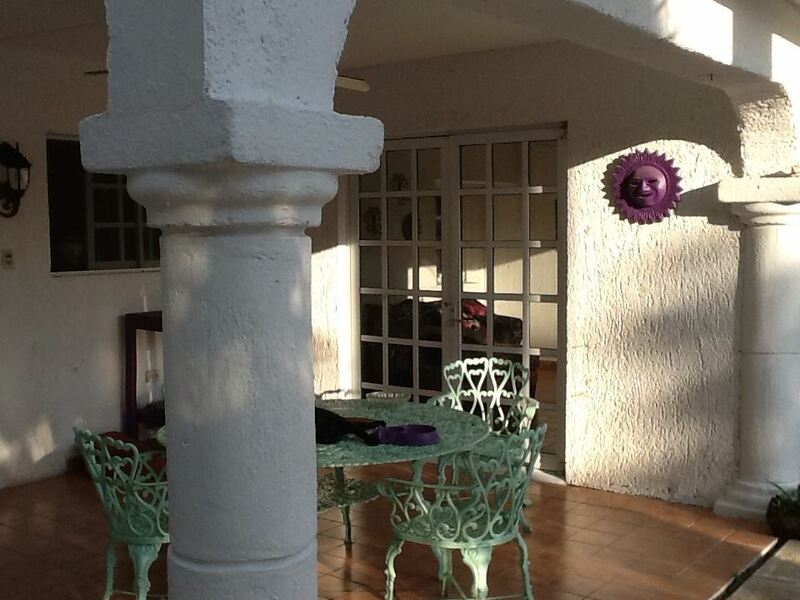 Guests will enjoy the location of Casa Caribe. It is in the downtown area. 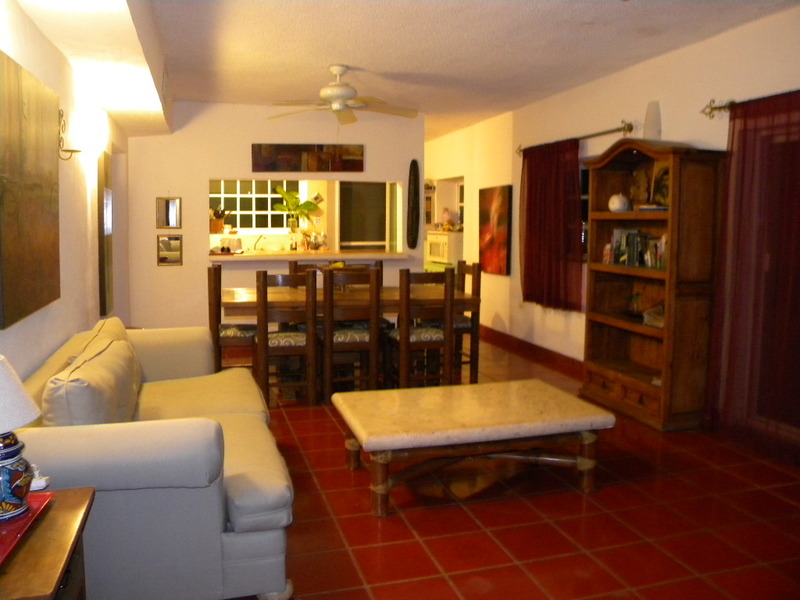 Walking distance to the grocery stores, restaurants, and plaza, where many activities take place. Please call 918 891-0183 for any questions and to make your reservation. We accept personal checks, money orders, Visa, and Mastercard. To confirm your reservation, 50% of the total rental amount is due. Balance is due 30 before arrival date. Please be sure of your dates as we offer no refunds, no cancellations. 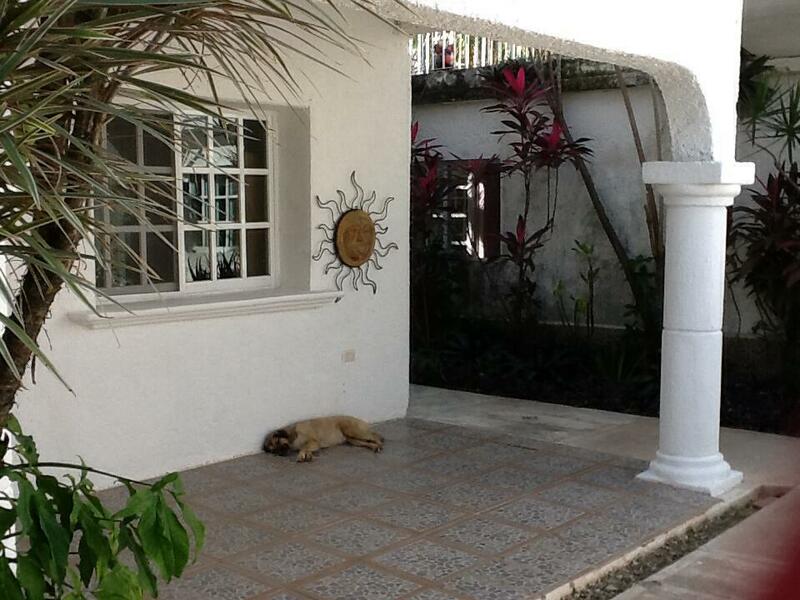 In the center of downtown Cozumel sits this lovely home, with large pet friendly yard, swimming pool, and patios. 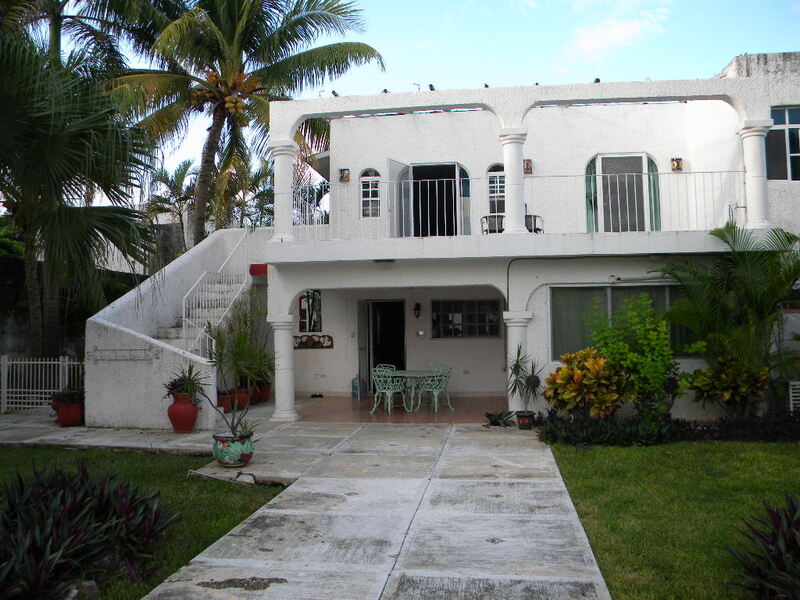 This two story home is a compound of bedrooms, living areas and patios. 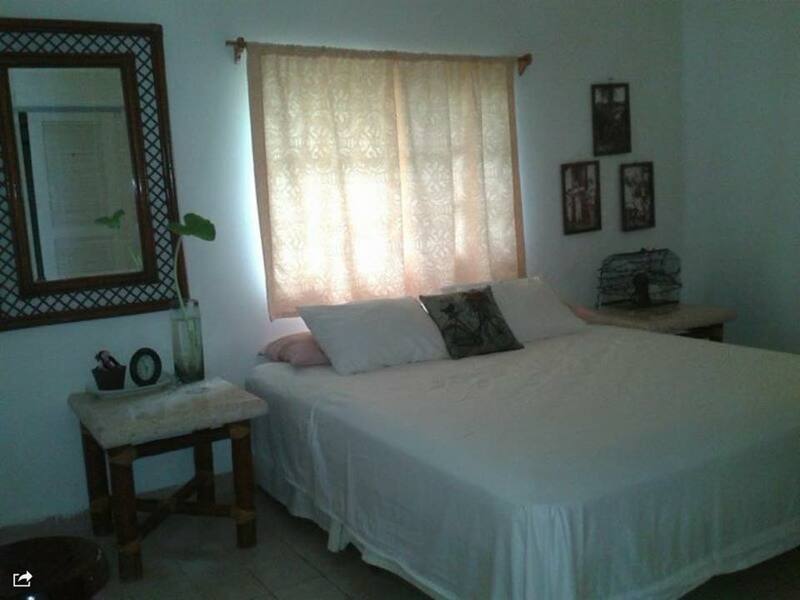 There are three bedrooms downstairs, two with king size bed,one with a standard size bed and two full bathrooms. 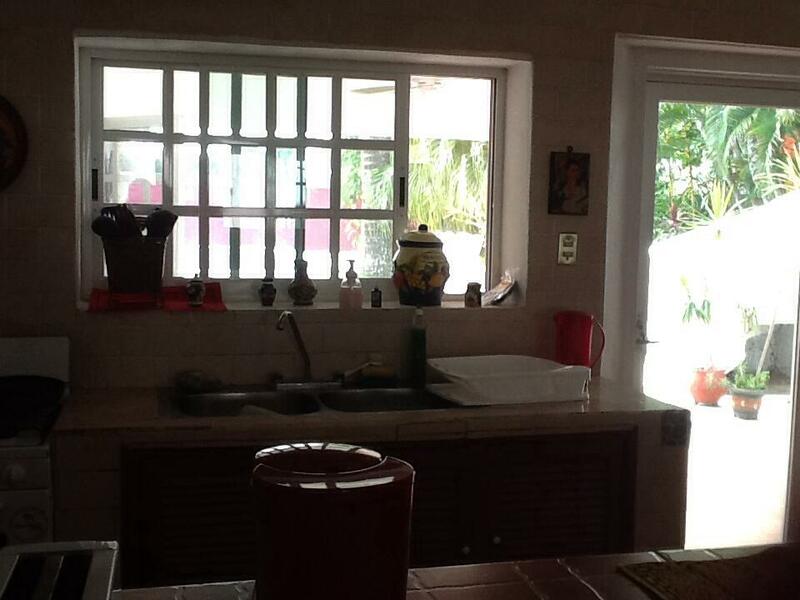 There is a dining area and a small simple kitchen with pots, pans, dishware, etc. (no dishwasher). Just off the kitchen is a covered patio looking out into the garden and pool area. The pool has another patio with lounge chairs. The upstairs has another large bedroom with king size bed and private bathroom on the streetside available for rent, formerly called the Pink Room, now since walls are painted white, called the Suite Arriba. If you don't need the kitchen during your stay, this can be rented alone. 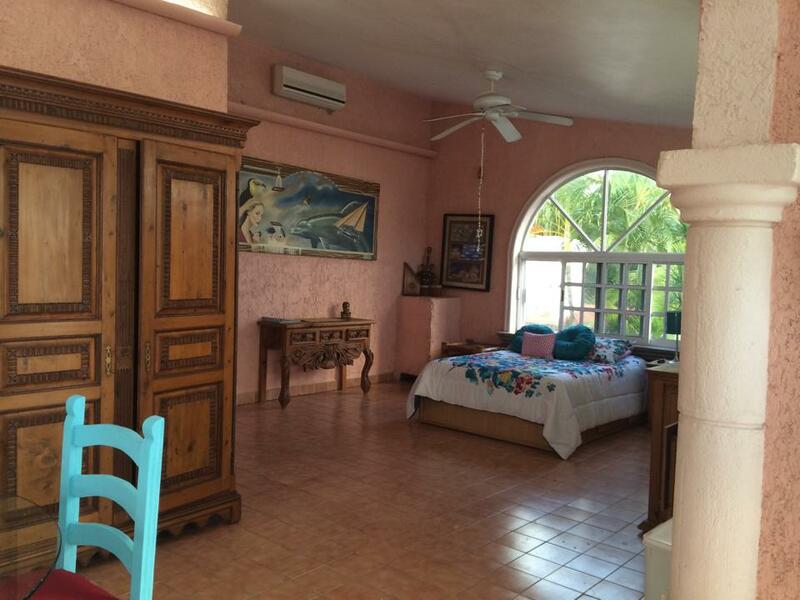 There is an upstairs bedroom suite formerly The Pink Room,now called the Suite Arriba, that can be rented with the downstairs if it's available, and can be rented independently. It has one large room that is split into two. There is a living/dining room area with a small kitchenette that has an electric skillet, a toaster oven and a small mini refrigerator. It has it's own private bathroom. To get into this suite, there is an outdoor staircase that leads to a patio area upstairs, that leads to the entrance, so there is no need to go through the main house. It is completely independent of the rest of the house. 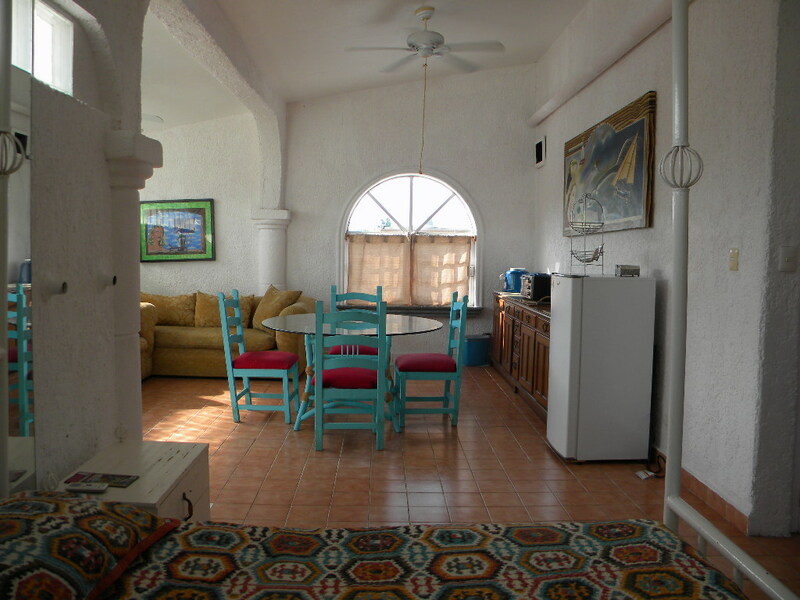 There is also a separate guest house, La Casita, that can be rented alone or with other parts of the house. It is not attached to the main house. It has it's own private entrance. 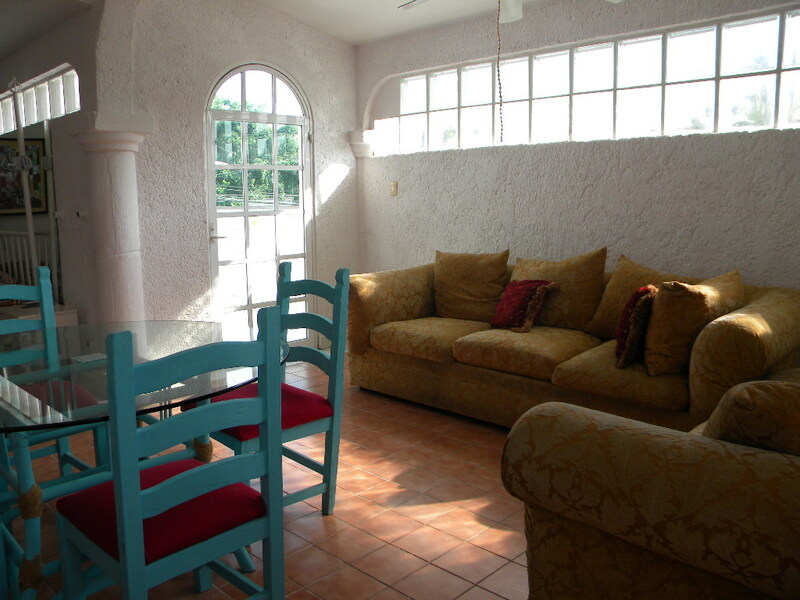 The Casita has a living area overlooking the gardens. It has a private bedroom with a double bed, and a bathroom. There is a small kitchenette with a double burner, a microwaves, coffee pot, refrigerator, and a small sink. There is still remodeling, and decorating and I will provide photos when it is complete. Planned completion: Sept. 1, 2017. 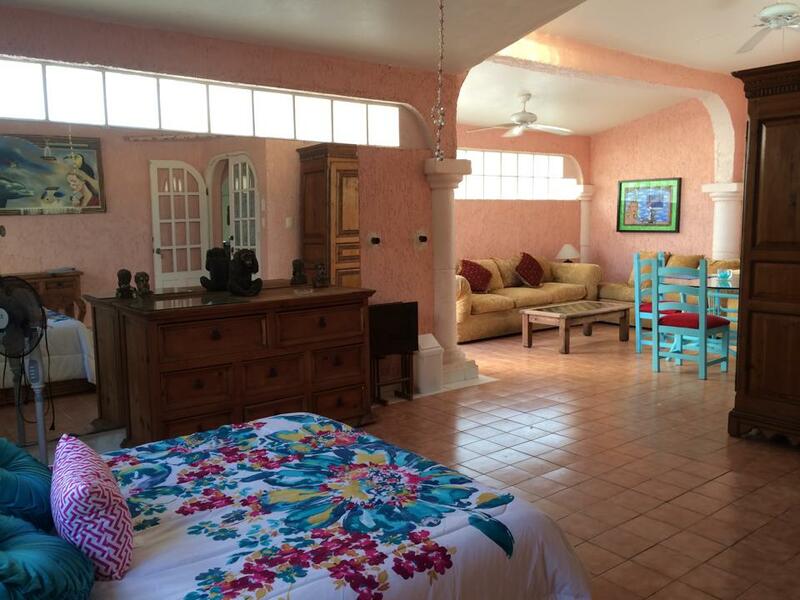 Casa Caribe has central a split a.c. unit in each bedroom. They cool down very fast so we ask guests to turn it off when no one is in the room using it, and only turn it on when you are using the room, as needed. There is another a split air conditioner upstairs and another split ac in the Casita. The family who resided here never uses either because it's a cool house with all the windows open. There is wireless internet in the whole house as well. This house is about 75-80 years old. It's a rustic Mexican home. It has not been modernized in style or decor, although it has been added on. 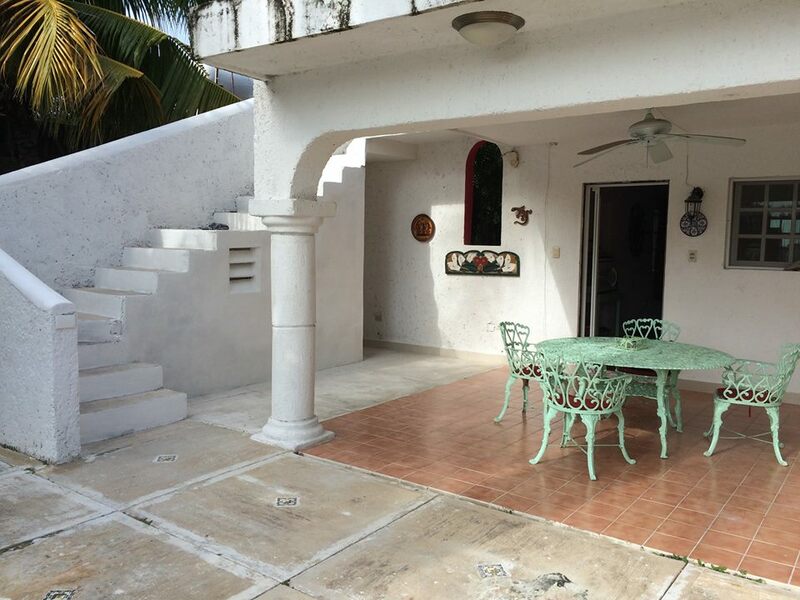 Its quaint because it is one of the original Cozumel homes, with additions build on through the years. 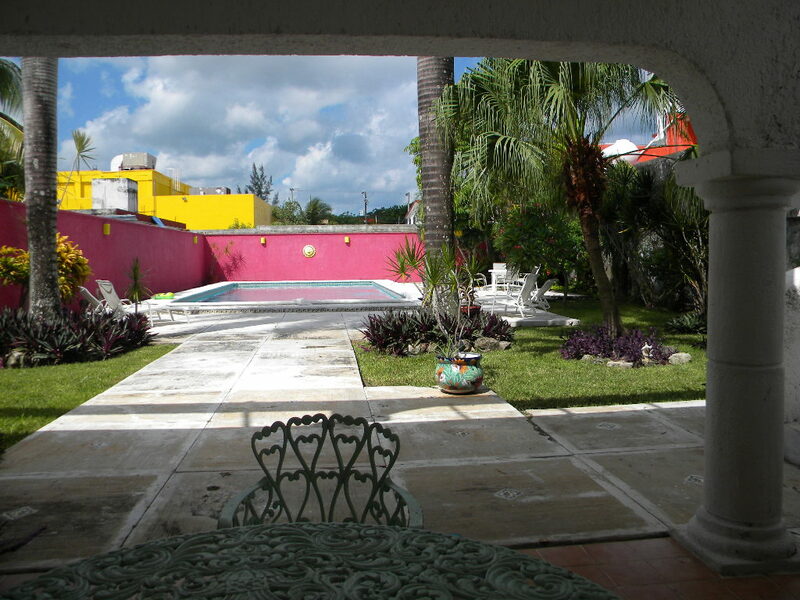 The garden is lush with colorful tropical plants, all well designed by the owner who is a landscape architect. Coconuts, banana trees, hibiscus and aloe vera are everywhere. 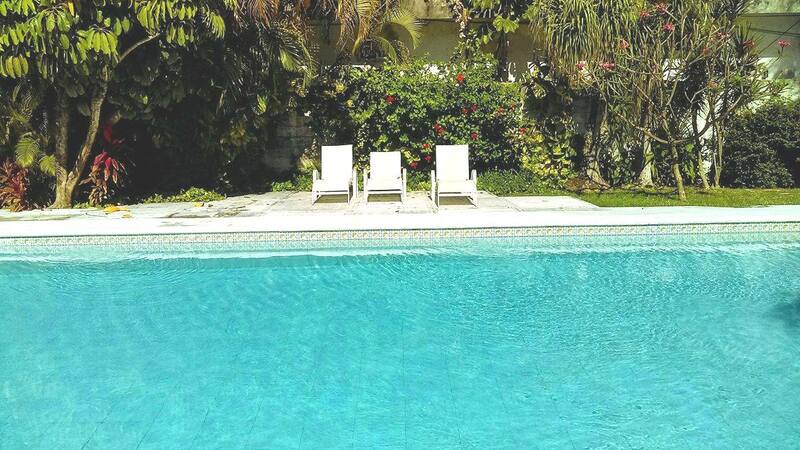 The swimming pool is accented with two tall Royal Palms. Areca palms, bird of paradise, and bougainvilla. We provide bottled purified water, fresh soap and paper products on your arrival. We do not provide a daily maid service. The laundry facilities are not available to guests. There is a laundry mat less than two blocks away. 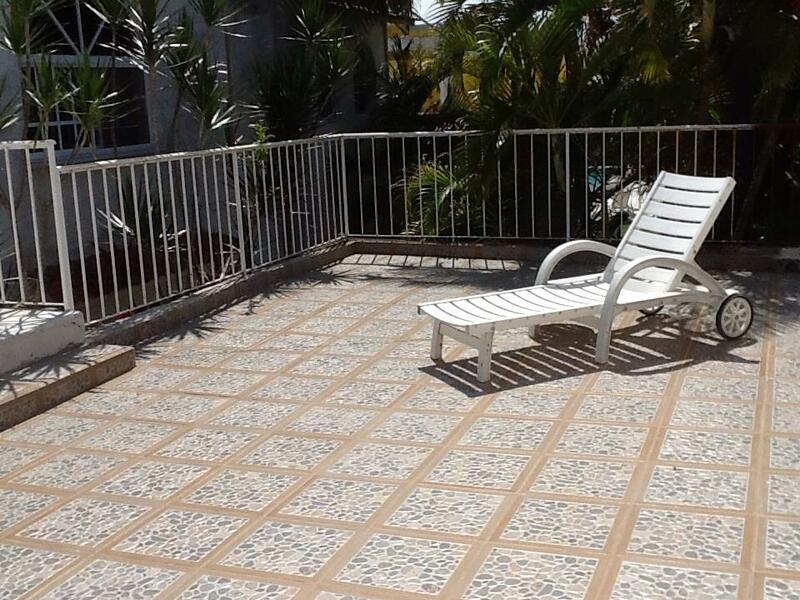 Guests will enjoy the location of Casa Caribe. It is in the downtown area, and walking distance to the grocery stores, restaurants, and plaza, where many activities take place. Guests will hear the church bells from the little Church of San Miguel, the bread man clapping every afternoon, selling his bread from his bike. Guests will hear the famous song of the man selling "Queso Oaxaca". Guests will enjoy the song from the gas trucks, the bottled water man, and music coming from events held in restaurants, bars and homes in the surrounding area. There are two outdoor cats that live onsite. They should not be allowed into the house. They have a private room off the back patio so that they can be separated from other animals and people when necessary. 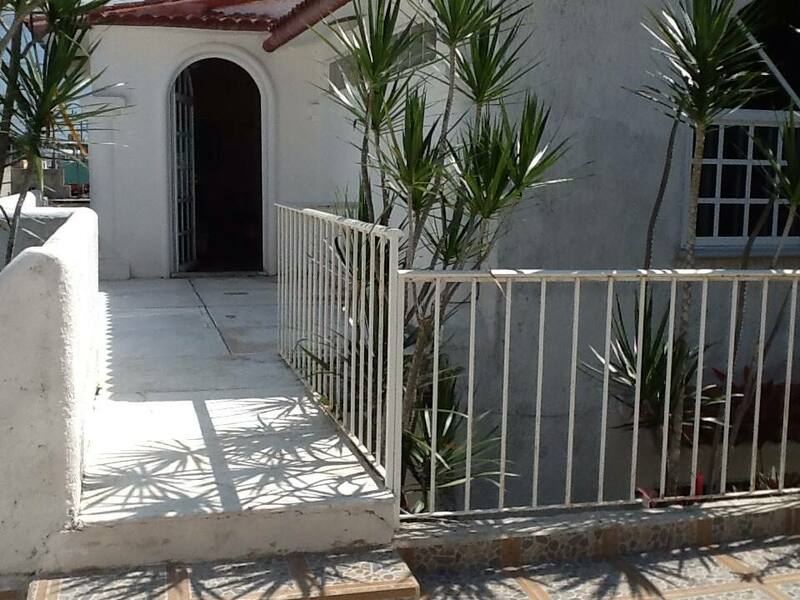 The homeowners provide food daily. . They do have a patio that is downstairs for them to have their own space. Pets who will get along well with our cats are welcome, as long as they are small, and well mannered and owner takes responsibility to pay for any damages. 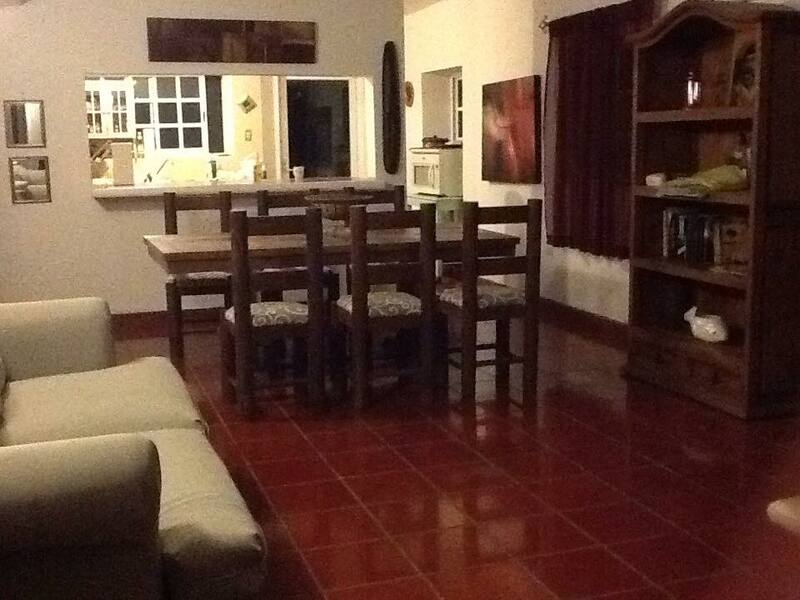 Downstairs Main House (sleeps up to six in three bedrooms, two bathrooms) is $90 dollars per per night. 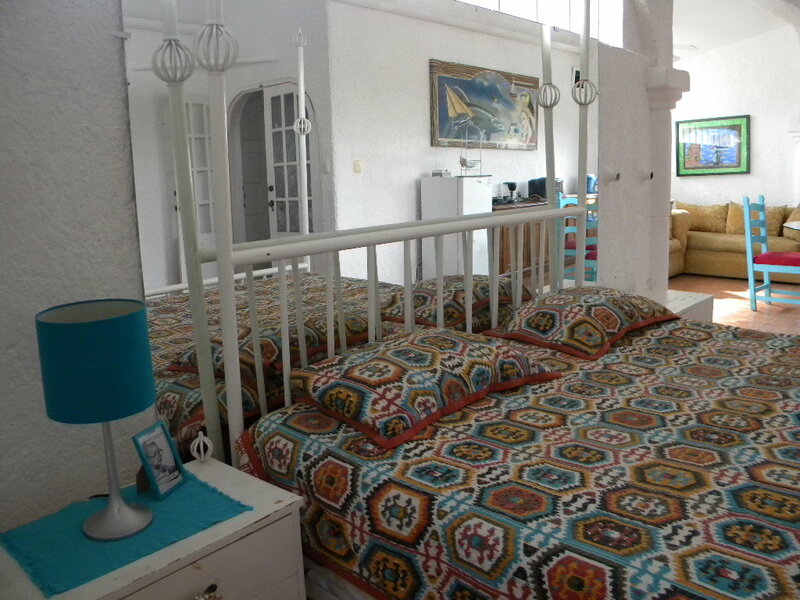 Upstairs bedroom-Suite Arriba (sleeps two guests) is $45 dollars per night. The detached guest house (sleeps two) with a living area, bedroom, and small kitchenette is $60 dollars per night. Downstairs Main House (sleeps up to six in three bedrooms, two bathrooms) is $120 dollars per per night. 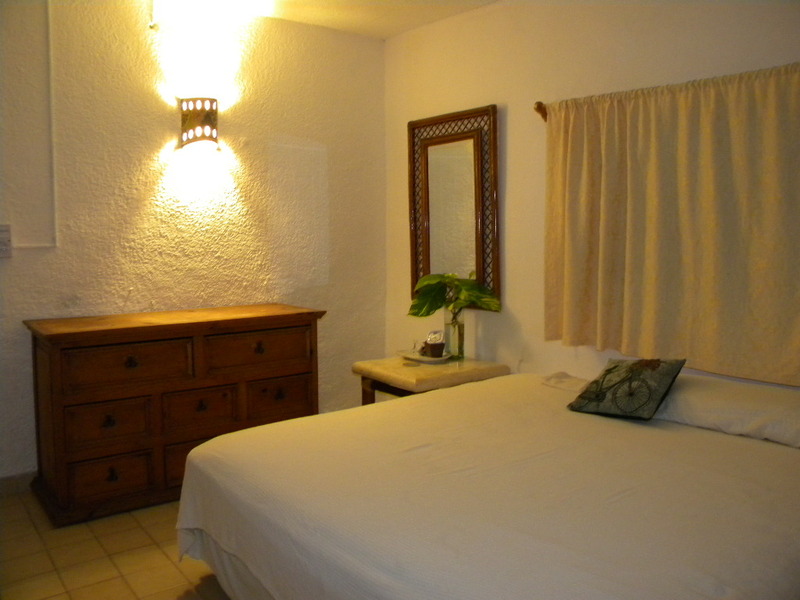 Upstairs bedroom-Suite Arriba (sleeps two guests) is $68 dollars per night. 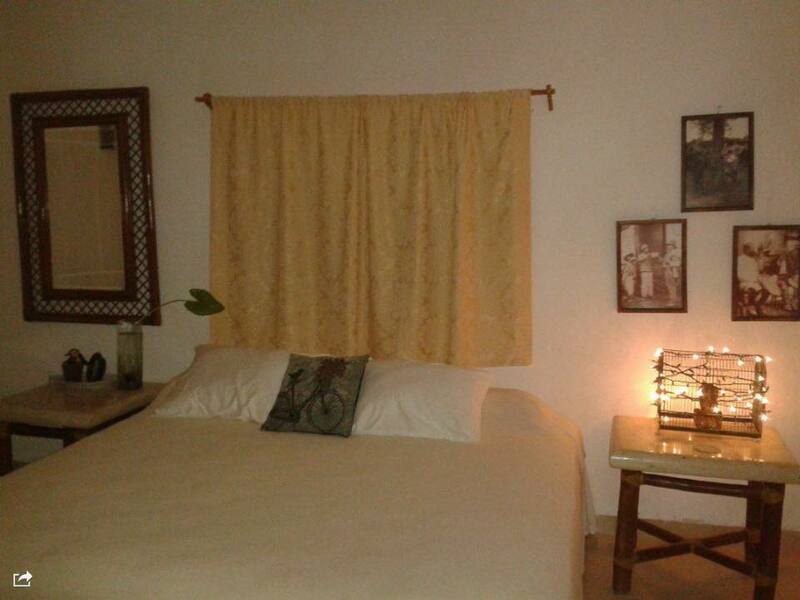 The detached guest house (sleeps two) with a living area, bedroom, bathroom and small kitchenette is $80 per night. Downstairs Main House (sleeps up to six in three bedrooms, two bathrooms) is $170 dollars per night. 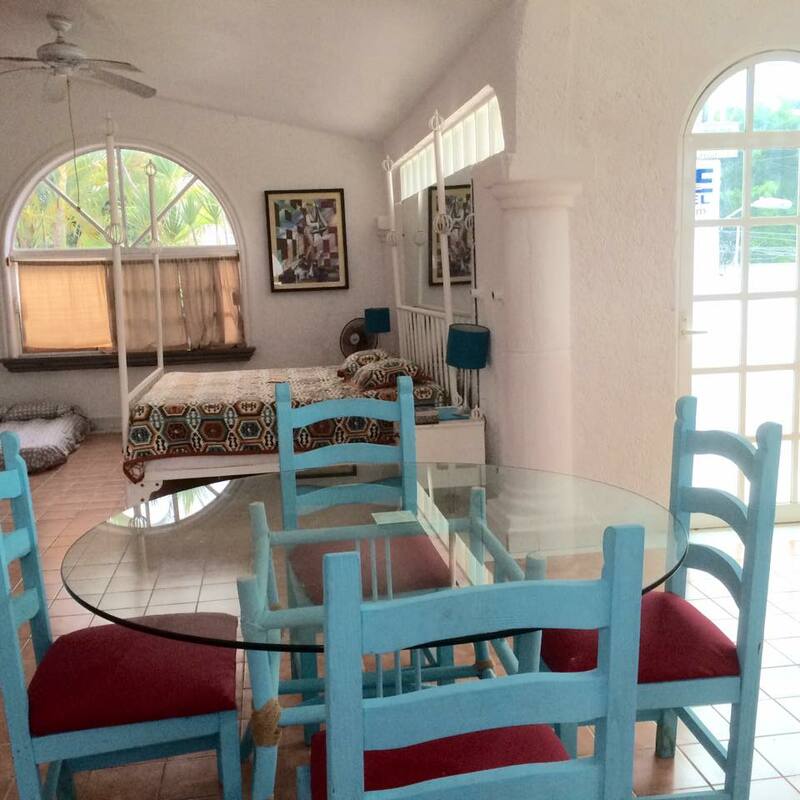 Upstairs bedroom- Suite Arriba (sleeps two guests) is $90 dollars per night. 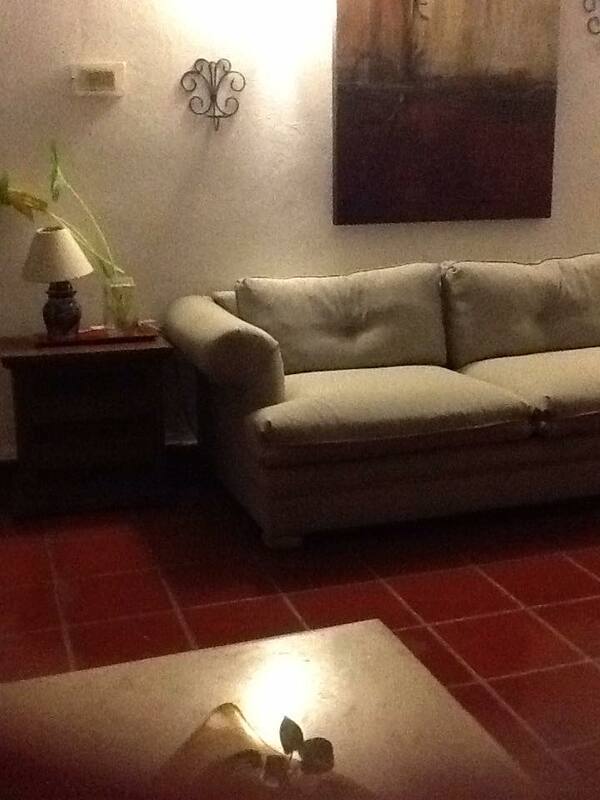 The detached guest house (sleeps two) with a living area, bedroom, and small kitchenette is $105 dollars per night. Downstairs Main House (sleeps up to six in three bedrooms, two bathrooms) is $120 dollars per night. 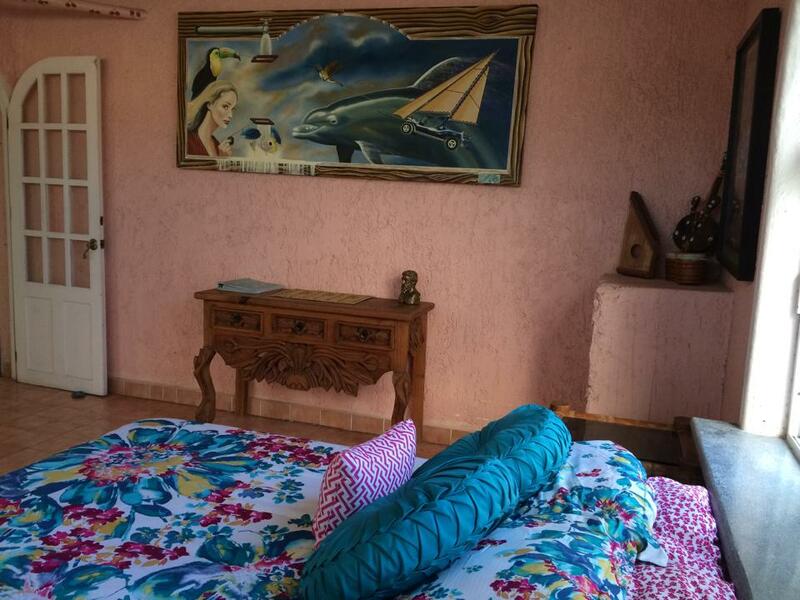 Upstairs bedroom- Suite Arriba (sleeps two guests) is $70 dollars per night. 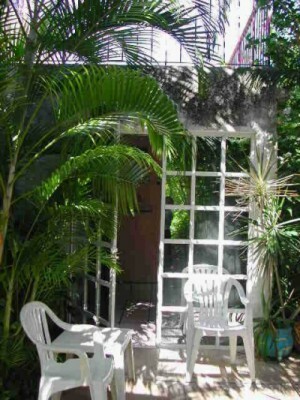 The detached guest house (sleeps two) with a living area, bedroom, and small kitchenette is $80 dollars per night. The detached guest house (sleeps two) with a living area, bedroom, and small kitchenette is $80105 dollars per night. Downstairs Main House (sleeps up to six in three bedrooms, two bathrooms) is $90 dollars per night. 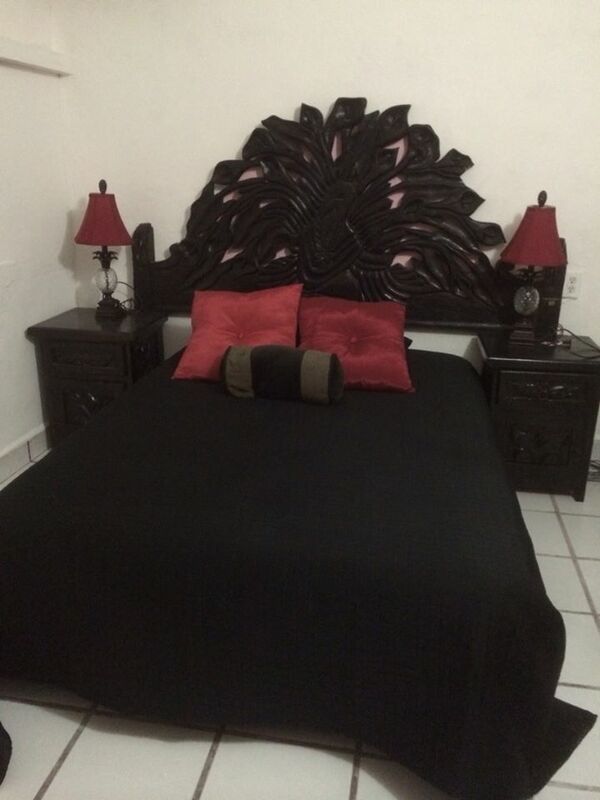 Upstairs bedroom- Suite Arriba (sleeps two guests) is $45 dollars per night.